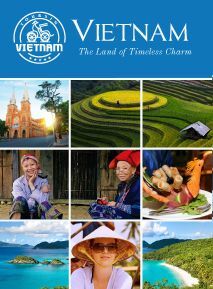 Vietnam is not only famous for the beauty nature, stunning landscapes, special cultures but also known as the place that service flavorful, colorful and extremely healthy cuisine. The country also has so many special kinds of ingredients that make the region's food more delicious and attracted. People often send their soul on the foods. That's why you can just only try the special local food, feeling the flavor and can understand their life, their culture and personality. Traveling in Vietnam you should not miss the most famous our traditional delicious dishes, such as Hue Beef Noodle Soup, Cao Lau, "Cha ca" La Vong, "Com" or Green Sticky Rice, etc. 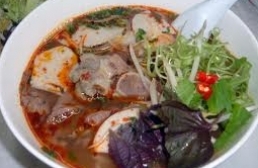 If people come to Hue, they will unforgettable the flavor of Bun bo Hue - a specialty of Hue. 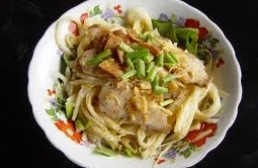 A bowl of noodles with white noodles, pieces of pig's trotters… will make unique impression about Hue cuisine. "Cao Lau" (or Vermicelli) , at first glance, is quite similar to other kinds of noodles in Vietnamese like Quang Nam's noodles, Hue beef noodle soup, Hanoi beef noodle soup, etc. 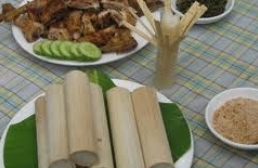 However, "Cau Lau" is very distinctive dish that can be found in Hoi An ancient town only. 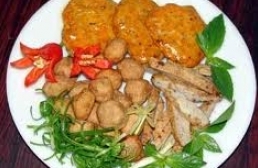 "Cha Ca" (Hanoi Turmeric Fish) has long been a favorite dish of the Hanoi people. 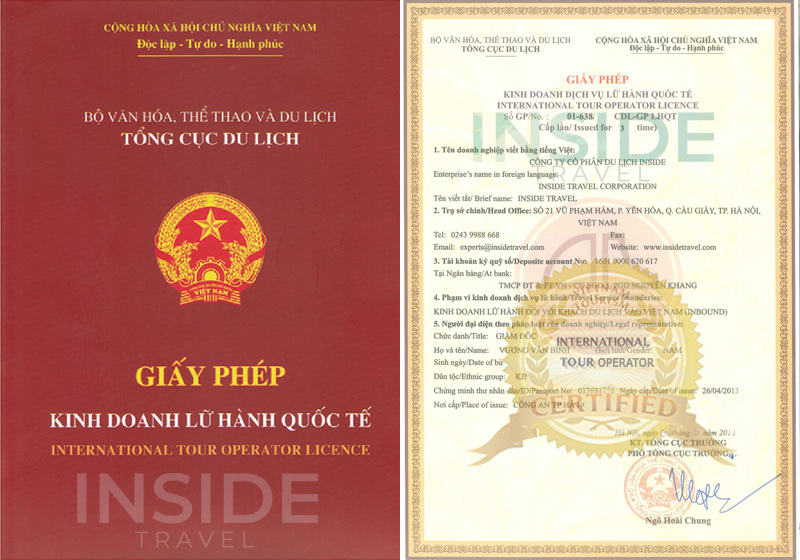 The ancient city has several shops selling the specialty but for many, "Cha Ca" La Vong stands above the rest in terms of quality and flavor. Both domestic and foreign visitors to Hanoi rave about the fish at "Cha Ca" La Vong restaurant, a shop that serves only this favorite dish. "Chung" cake (Sticky Rice Cake) is not only a traditional dish of Vietnamese but also an indispensable food for Vietnamese Tet holiday (Vietnamese Lunar New Year Festival). The taste of "Chung" cake has become the taste of Tet holiday in Vietnam. "Day" cake is a traditional dish in Vietnam that is usually made on national holiday like King Hung Temple Festival. 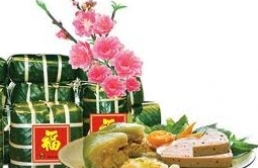 It's popular as offerings to offer ancestor on ancestral altar in every Vietnamese family. In the concept of Vietnamese, this cake represents their respect and gratitude to their ancestor. Visiting Hanoi by the end of august or beginning of September, tourists not only can enjoy the smell of Alstonia (a very typical flower for fall in Hanoi) but also can enjoy "Com", one of the most favorite gifts during this season. "Com" is green rice flakes or grilled rice. 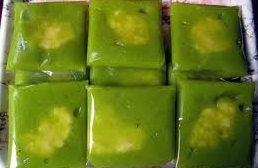 It is made from unripe sticky rice. 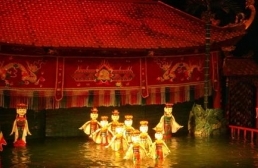 Hue City has not only poetic landscape with Perfume River but also ancient palaces and tombs. "Com Hen" is traditional dishes of the Hue. "Com hen" is mixed with many rustic foods such as: banana flower, laksa leaves, peanuts… All things mixed with spices to make a bowl of "Com hen" - specialty of Hue. 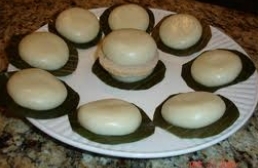 The Hue often uses "Banh Beo" as snack cake. It is not expensive but has delicious taste and unique scent. "Banh Beo" is the specialty of hue dishes in daily life. Every day, as usual, from 3:00 am to 5:00 am, we often caught somewhere on the corner of street, women buy "Banh Beo". "Lam" rice (or Bamboo Cooked Rice) is a typical dish of ethnic minorities in mountainous area of Northern Vietnam (Sapa, Moc Chau, etc.). 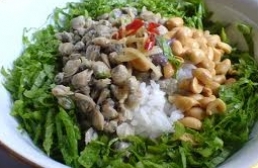 It’s also known as a specialty of Northwestern region in Vietnam, especially Tai ethnic. 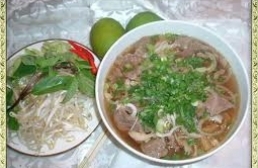 "Pho Bo" Hanoi (Hanoi beef noodle soup) is the traditional dish of the capital city and has been cooked up here for centuries. Good "Pho" consists of a flavorful broth, soft (but not mushy) rice noodles and tender meat. Quang Nam's noodle (so-called "My Quang" in Vietnamese) is a special type of noodles that originated from Quang Nam Province, Vietnam. Nowadays, Quang Nam's noodle has become a popular dish in many provinces of the Central Vietnam (like Quang Nam Province, Danang City, etc.). 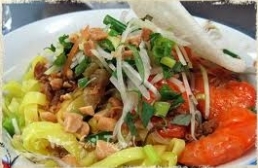 The origin of "Banh Cuon" is traced back from Northern Vietnam, no matter the exact date and time "Banh Cuon" was initially made, people seem not to deny that "Banh Cuon" has been made for years and served over and over. 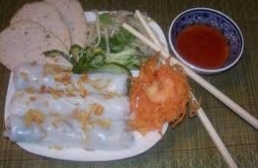 "Banh Cuon" is classified under wrap and rolls dishes in Vietnamese cuisine as a dedication to it nature and the name itself. 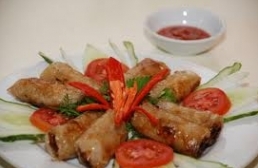 Spring roll (called "Nem Ran" in Vietnamese) is one of the most popular dishes on Vietnamese Tet holiday (Vietnamese Lunar New Year) as well as daily meals of Vietnamese families. 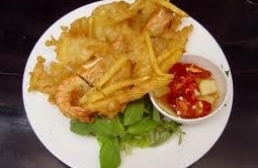 Overlooking Truc Bach Lake, Banh Tom Ho Tay is famous for its scrumptious fried shrimp patties. Its way of processing is rather simple.